If you have any questions about the Blue Too information page below please contact us. 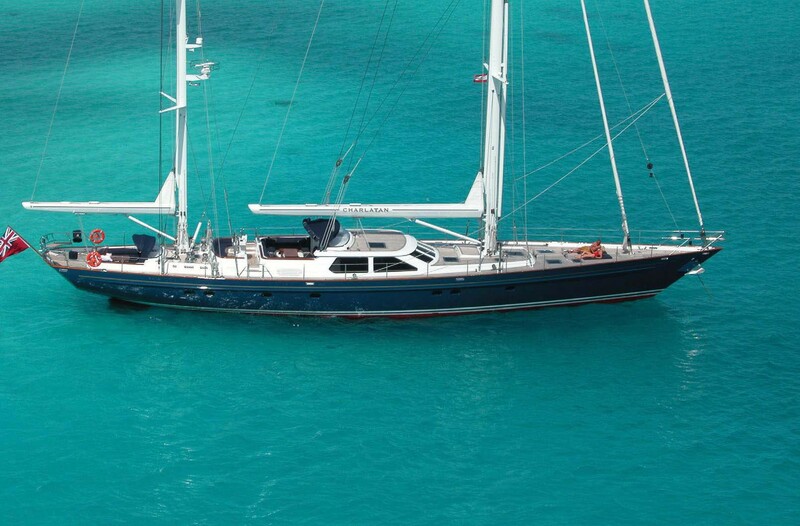 Luxury sailing yacht Blue Too (ex Charlatan) is a modern stylish and powerful sail boat built by Alloy Yachts. 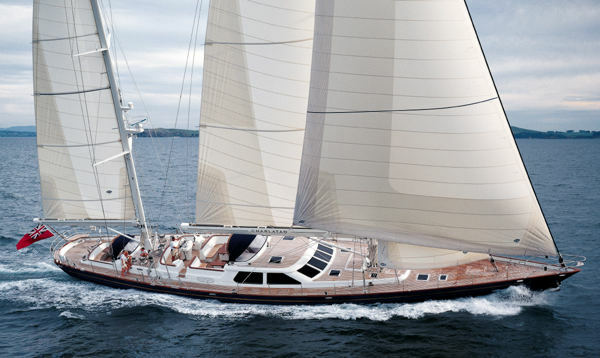 The Ron Holland/Alloy Yachts partnership has yet again produced a yacht of true pedigree and character. 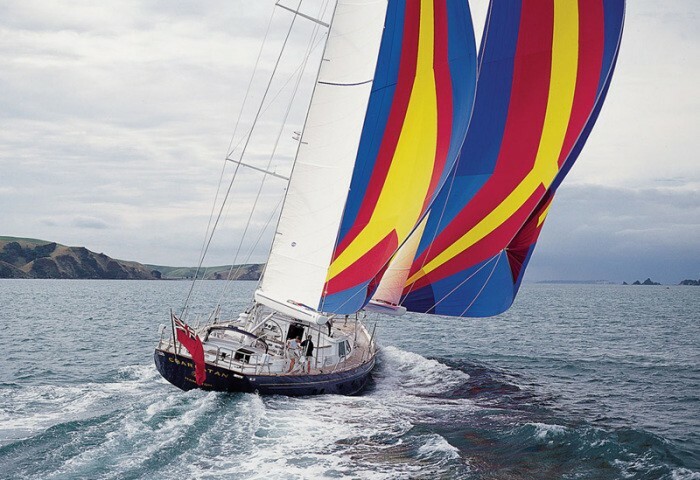 Superbly balanced under sail, Blue Too (ex Charlatan) can cruise in any of the oceans around the world. Her performance under sail is only matched by the superb quality of the Redman Whiteley designed interior, where attention to detail and use of the finest materials has been paramount. 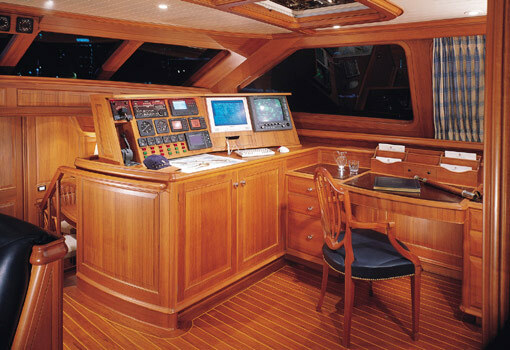 Beautifully appointed throughout, the yacht has benefited from the experience of a very knowledgeable owner. 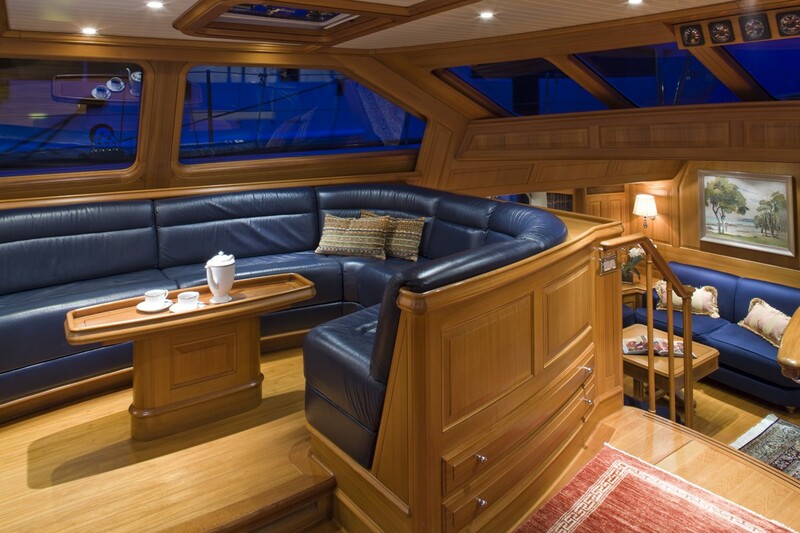 Unusual but extremely practical design features such as the fold-down stairway from the aft deck to the bathing platform and also the most unusual master stateroom, with companionway to its own private cockpit, help to make sailing on Blue Too one of life’s ultimate experiences. Sailing yacht Blue Too’s Pilothouse has informal seating and also a dining area featuring panoramic views. 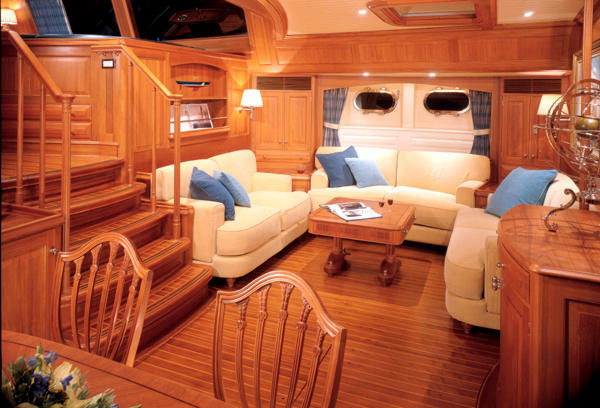 She boasts a full-width lower saloon with formal dining area for eight to starboard and a lounging and entertainment area with three sofas and coffee table to port. 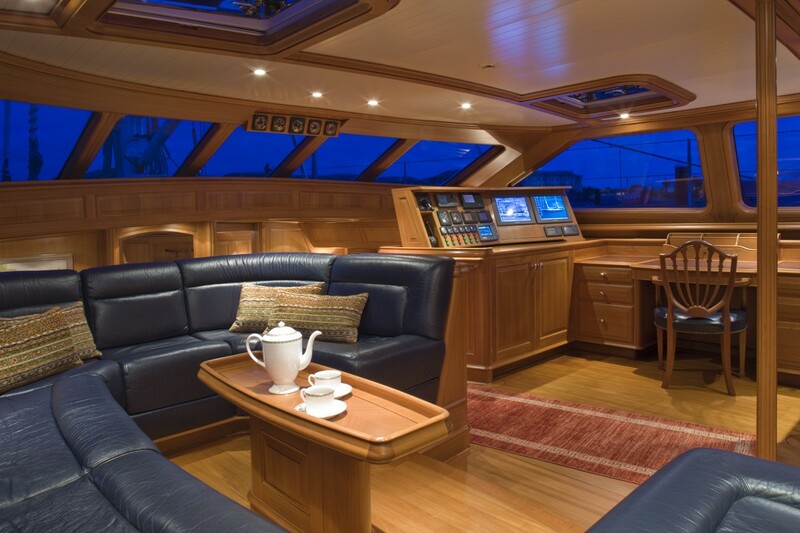 There is also a large centre cockpit with seating, dining table and coffee table. Luxury sailing yacht Blue Too offers comfortable and stylish accommodation for 6 people in 3 cabins in the following layout: 1 x master, 1 x double, 1 x twin, all with ensuites. 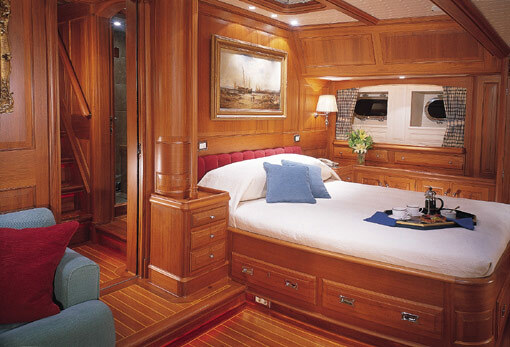 A full-width master stateroom with separate seating and two bathrooms plus companionway to private aft cockpit with curved seating and coffee table which lowers to convert the seating into a sunbathing area. 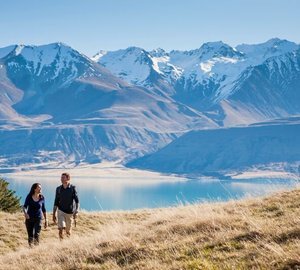 One of the cabins is double-bedded and one twin-bedded guest stateroom (which can be converted to a double), each with en suite shower room. The luxury yacht Blue Too displayed on this page is merely informational and she is not necessarily available for yacht charter or for sale, nor is she represented or marketed in anyway by CharterWorld. This web page and the superyacht information contained herein is not contractual. All yacht specifications and informations are displayed in good faith but CharterWorld does not warrant or assume any legal liability or responsibility for the current accuracy, completeness, validity, or usefulness of any superyacht information and/or images displayed. All boat information is subject to change without prior notice and may not be current.